Congratulations to super-domestique and superstar Kasia Niewiadoma for taking the Best Young Rider jersey too! Lovely photos from Sean at Velofocus and Balint Hamvas at Cyclephotos.co.uk. More photos on the Giro Rosa facebook. Race report from Ella Cycling Tips, and more reports from Wiggle Honda, Rabo-Liv – report & interview with AvdB, Boels Dolmans, Bigla, Alé Cipollini, and ORICA-AIS. Rider updates from Lucinda Brand (Dutch or English via google translate) and diaries from Tiffany Cromwell and Lizzie Williams on Ella Cycling Tips. Grazie a chi mi ha tifata ieri e a chi sarà sulle strade di casa oggi! Soraya Paladin's tattoo has never been more true on the final day of #girorosa2015. Super happy about my 1st @GiroRosaCycling.I had some really hard days on my bike,but THANKS to everyone who was cheering for us on the road! During the #WeOwnYellow festivities, I followed the @GiroRosaCycling with great attention. So happy to hear @AnnavdBreggen took the win! Sarah-thanks so much for your fabulous reports and links! 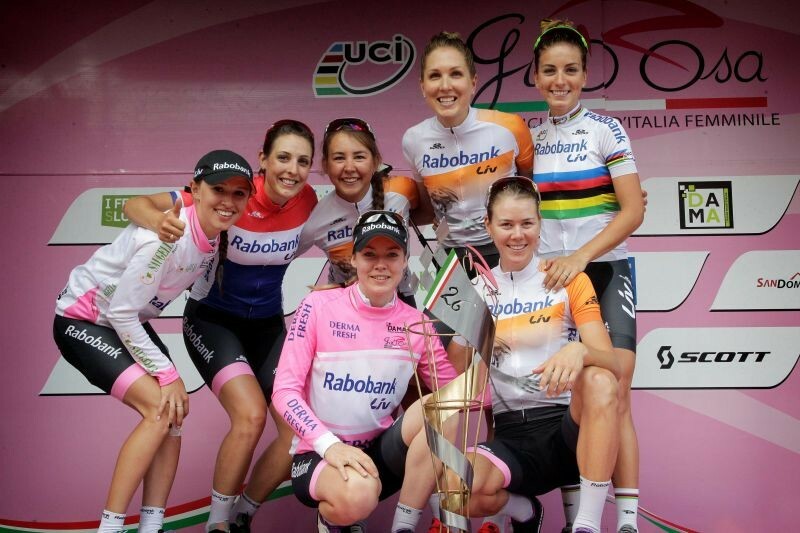 Have loved following the Giro Rosa and can’t wait to see it on the telly in English – next year?